Virgilio Piñera Llera (Cárdenas, Cuba, August 4, 1912 – Havana, October 18, 1979) was a Cuban author, playwright, poet, short-story writer, and essayist. Cárdenas, Calle Calzada Cárdenas is a municipality and city in the Matanzas Province of Cuba, about 116 km (72 mi) by air [156 km (97 mi) by road] east of Havana. Cárdenas is the 15th most-populated Cuban city and the second most populated one not being a provincial seat, after Manzanillo. Among his most famous poems are "La isla en peso" (1943), and "La gran puta" (1960). He was a member of the "Origenes" literary group, although he often differed with the conservative views of the group. In the late 1950s he co-founded the literary journal Ciclón. Following a long exile in Buenos Aires, Argentina, Piñera returned to Cuba in 1958, months before the Cuban Revolution won. His work includes essays on literature and literary criticism, several collections of short stories compiled under the title of Cold Tales, a great number of dramatic works, and three novels: La carne de René (Rene's Flesh), Presiones y Diamantes (Pressures and Diamonds), and Las pequeñas maniobras (Small Maneuvers). His work is seen today as a model by new generations of Cuban and Latin American writers. Some believe that his work influenced that of Reinaldo Arenas, who wrote in his memoir Before Night Falls of Piñera's time in Argentina and friendship there with Witold Gombrowicz. Reinaldo Arenas was a Cuban poet, novelist, and playwright known as an early sympathizer, and later critic of Fidel Castro and the 1959 revolution, and a rebel of the Cuban government. Before Night Falls is the 1992 autobiography of Cuban writer Reinaldo Arenas, describing his early life in Cuba, his time in prison, and his escape to the United States in the Mariel Boatlift of 1980. It received a favorable review from The New York Times and was on the newspaper's list of the ten best books of 1993. The book was adapted into a film of the same name in 2000, starring Javier Bardem and Johnny Depp. Witold Marian Gombrowicz was a Polish writer and playwright. His works are characterised by deep psychological analysis, a certain sense of paradox and absurd, anti-nationalist flavor. As a leftist, bisexual, and anticlerical who defied all party lines, his books were banned in communist Poland. In 1937 he published his first novel, Ferdydurke, which presented many of his usual themes: problems of immaturity and youth, creation of identity in interactions with others, and an ironic, critical examination of class roles in Polish society and culture. He gained fame only during the last years of his life, but is now considered one of the foremost figures of Polish literature. His diaries were published in 1969 and are, according to the Paris Review, "widely considered his masterpiece". The magazine Unión posthumously published autobiographical writing by Piñera in which he discussed how he concluded he was gay. However, his work can not be reduced to his open discussions on homosexuality in a time when such a topic was taboo, especially in the Spanish Caribbean. Piñera's literary and cultural perspective went beyond sexuality, to express concerns on national and continental identity, philosophical approaches to theater, writing and politics. This focus drew fire from the Spanish American literary establishment of his time, including Cuban poets Cintio Vitier and Roberto Fernandez Retamar, and leaders like Fidel Castro and Che Guevara. Cintio Vitier was a Cuban poet, essayist, and novelist. Upon winning the Juan Rulfo Prize, the award jury called him "one of the most important writers of his generation". Due to Piñera's social points of view and especially to his homosexuality, he was censured by the revolution, and died without any official recognition. As more of his work has been translated into English, Piñera's work has been rediscovered by American academia as a testimony of 20th century resistance against totalitarian regimes. Anderson, Thomas F. Everything in its Place: The Life and Works of Virgilio Piñera. Lewisburg, PA: Bucknell University Press, 2006. Cabrera Infante, Guillermo. Mea Cuba. In Aviva Chomsky, Barry Carr and Pamela Maria Smorkaloff (eds.) The Cuba Reader: History, Culture, Politics. Duke University Press (2004). Chichester, Ana Garcia. "Virgilio Piñera and the Formulation of a National Literature." CR: The New Centennial Review, 2.2 (2002): 231-251. López Cruz, Humberto, ed. Virgilio Piñera: el artificio del miedo. Madrid: Hispano Cubana, 2012. Molinero, Rita (ed). Virgilio Piñera: la memoria del cuerpo. Editorial Plaza Mayor, San Juan, Puerto Rico, 2002. Electra Garrigó, translated by Margaret Carson. In Stages of Conflict: A Critical Anthology of Latin American Theater and Performance, ed. Diana Taylor and Sarah J. Townsend. Ann Arbor: U Michigan Press, 2008. Juan Ramón Jiménez Mantecón was a Spanish poet, a prolific writer who received the Nobel Prize in Literature in 1956 "for his lyrical poetry, which in the Spanish language constitutes an example of high spirit and artistical purity". One of Jiménez's most important contributions to modern poetry was his advocacy of the French concept of "pure poetry." Ezequiel Martínez Estrada was an Argentine writer, poet, essayist, and literary critic. An admired biographer and critic, he was often political in his writings, and was a confirmed anti-Peronist. 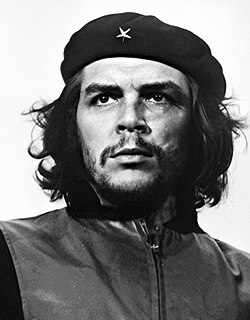 While in his middle years he was identified with the ideas of Nietzsche or Kafka, in his last years he was closely identified with the Cuban revolution and Fidel Castro. José Lezama Lima was a Cuban writer and poet who is considered one of the most influential figures in Latin American literature. Dulce María Loynaz was a Cuban poet. Severo Sarduy was a Cuban poet, author, playwright, and critic of Cuban literature and art. Some of his works deal explicitly with male homosexuality and transvestism. 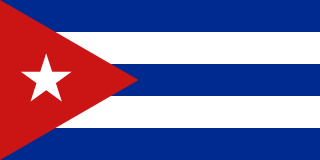 Cuban literature is the literature written in Cuba or outside the island by Cubans in Spanish language. It began to find its voice in the early 19th century. The major works published in Cuba during that time were of an abolitionist character. Notable writers of this genre include Gertrudis Gomez de Avellaneda and Cirilo Villaverde. Following the abolition of slavery in 1886, the focus of Cuban literature shifted. Dominant themes of independence and freedom were exemplified by José Martí, who led the modernista movement in Latin American literature. Writers such as the poet Nicolás Guillén focused on literature as social protest. Others, including Dulce María Loynaz, José Lezama Lima and Alejo Carpentier, dealt with more personal or universal issues. And a few more, such as Reinaldo Arenas and Guillermo Cabrera Infante, earned international recognition in the postrevolutionary era. Arturo Carrera is an Argentine poet born on 27 March 1948 in Coronel Pringles, Buenos Aires Province. Ediciones El Puente was a literary project for young writers in Cuba just after the 1959 revolution. Between 1961 and 1965 they published each other's work, introduced dozens of new voices - among them poet and translator Nancy Morejón, playwright Gerardo Fulleda León, playwright-activist Ana Maria Simo and folklorist Miguel Barnet - and held readings and performances. Andrés Neuman is a Spanish-Argentine writer, poet, translator, columnist and blogger. Alberto Augusto Valdivia Baselli is a Peruvian poet, writer, essayist, literary scholar and specialist in Peruvian culture. Antonio Rodríguez Salvador, is a poet, fiction writer, dramatist and essayist. Teatro Avante is a nonprofit theater organization located in the Little Havana neighborhood of Miami, Florida. René Vázquez Díaz is a Cuban-Swedish writer and translator, winner of the Radio France Internationale's Juan Rulfo Award 2007 for his novel Welcome to Miami Doctor Leal(Latin American Literary Review Press, Pittsburgh 2009). One of his most notable novels is The Island of Cundeamor. His latest published book is the autobiographical novel Ciudades junto al mar. Pablo Medina is a Cuban American poet and novelist, Professor in the Department of Writing, Literature, and Publishing at Emerson College and Director of its MFA Program. Magali Alabau is a Cuban-American poet, theater director, and actor. Born in Cienfuegos, Cuba, she has lived in New York since 1966. She co-founded the Spanish-English ensemble Teatro Dúo/Duo Theatre with Manuel Martín, Jr. and the lesbian theater Medusa's Revenge with Ana María Simo. She began writing poetry after retiring from theater, and published eight books between 1986 and 2015. Lourdes Espinola is a Paraguayan poet, diplomat, cultural promoter, and literary critic. Daughter of the laureate Paraguayan writer and philosopher Elsa Wiezell, Espinola's academic background includes the fields of health sciences, international relations, as well as philology and literature, at universities of the United States and Europe. Pedro Pérez Sarduy is an Afro-Cuban writer and broadcaster, who has published poetry and fiction, in addition to journalism. He gives lectures and reads his work at academic institutions internationally and is currently resident in London, UK. Abelardo José Estorino López was a Cuban dramatist, director, and theater critic. ↑ Bobes, Marilyn (2002-04-01). "Homosexuality in Cuban Literature". La Jiribilla. Retrieved 2007-07-12.